• Grain Flow Forged from a single billet of 1025E Pure Select Mild Carbon steel for soft, solid, consistent feel. • Quad Cut Grooves and Milled Face CNC milled grooves and increased surface roughness for increased spin and feel. 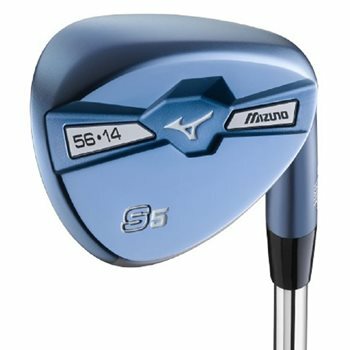 • Sole grinds inspired by Mizuno tour professionals to be used in a variety of lies and different shots. • Blue Ion finish provides an eye-catching and glare free look.